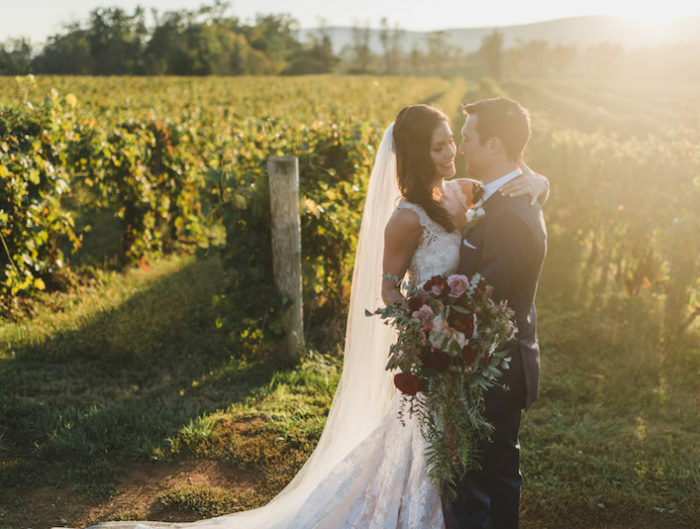 Welcome back to the second half of Erin and Austin’s farmhouse wedding in Virginia. After their very personal outdoor ceremony (which you can see here), their wedding group headed to a tented wedding reception on the property – their sister’s 100 year old farm! 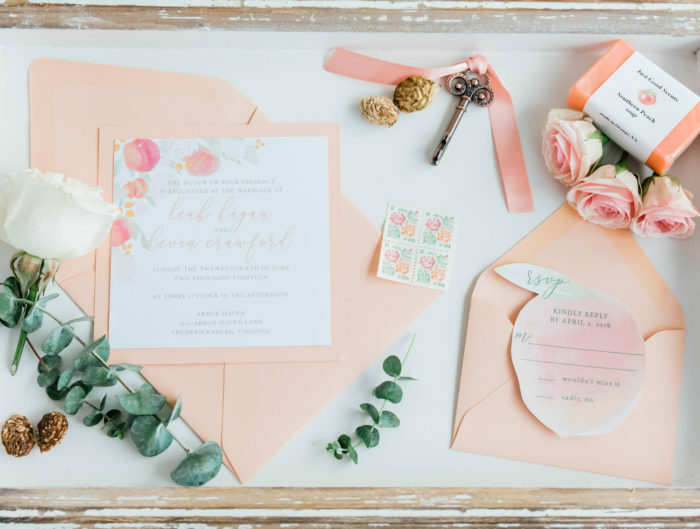 Dripping in DIY details and filled with personal touches (like family brewed beer), their wedding guests enjoyed an evening filled with dinner and dancing, before the pair headed off to Costa Rica for their honeymoon. Love Knot Photo captured the big day right down to the lantern release at the end of the night. From Erin: So much of what made our wedding special were the handmade things our families made for us! It really was a family affair, and there were many more than this list, but here’s just a few. Austin brewed all the beer for our wedding, and together, he and I created unique labels for each of the styles. My sister is the graphic designer who created all the beautiful, whimsical stationery and signage for our wedding. Our wedding venue was the front yard of my other sister’s gorgeous home, and I had the honor of wearing her wedding dress. My mother arranged all the floral pieces, my favorite of which were the bouquets and the ceremony archway. My mother-in-law lent me a family heirloom handkerchief to wear as my something old, and created the garlands that adorned the front porch. My sister in law corralled pictures from all stages of our lives and made a fun display for our guests to enjoy. Our dads built the signs, labeled beer and helped set out all of the equipment. Our families went above and beyond to make our wedding day a success. We are so lucky and grateful for them! Advice for other Washington DC area couples from Erin: If you are staunch about having a backyard wedding, be prepared for how complicated it will be. I loved our wedding, but there was much to consider, coordinate, and pay for when your venue is not set up to accommodate a large group of people. 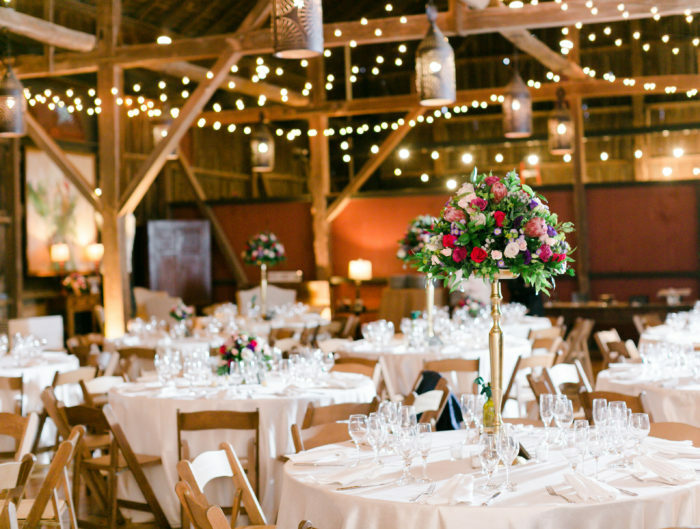 It is important to have the people closest to you as relaxed as possible on the day of the wedding, and that asking them to do a lot on the wedding day can be extremely stressful. Congratulations to Erin + Austin! Thank you for sharing your beautiful tented wedding reception with us! Bakery: Mom’s Apple Pie, Co.